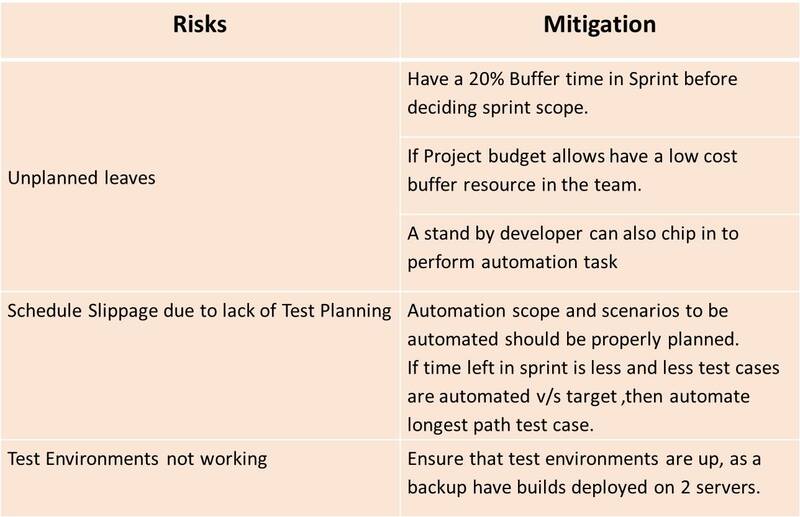 Define Automation Test Strategy in Agile based Product Development. For version 1.0 Release. Product is a web based application. 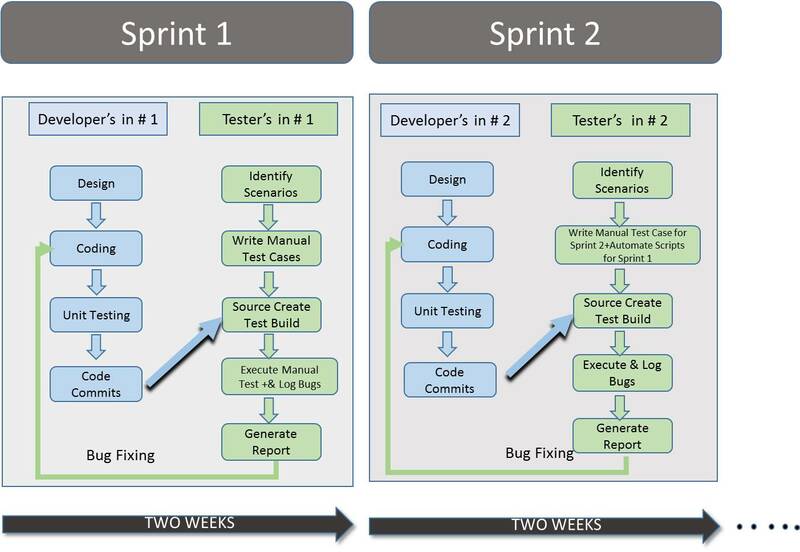 Definition of “Ready” for User Stories is met before Sprint Starts. 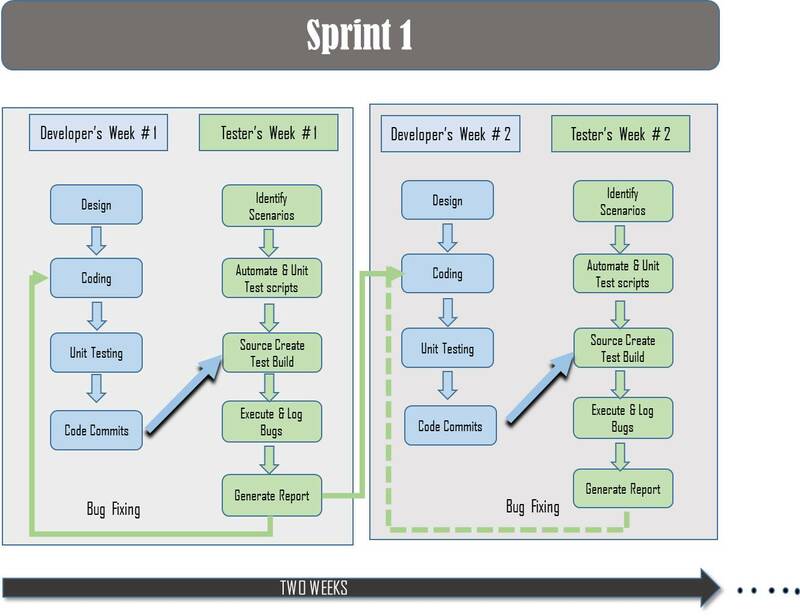 One Sprint is of 10 working days. 0% Automation Coverage is achieved but needs to be increased, however keyword driven framework is adopted based on objects. Automation Tool is Finalized and considered in Project Kick-off. Development Team combination is of 6 Developers and 3 QA. Continuous Integration (CI) is adopted. The Test team starts automation/script created based on designs, screens and mockups. A Scrum Alliance Certified Scrum Master, with 11 years of experience in testing and delivering Products in Property,Finance,Storage,Refrigeration and Music streaming domain. Over 9 years, I have worked on testing of Software using different Software Testing Tools like Squish, HP Load Runner, IBM Rational Performance Test, HP ALM, HP QC, JIRA, Test-Link. I have also successfully lead teams of talented individuals to test the products that were developed using Waterfall Model and Agile methods to create world-class products. In June 2012, I also visited Denmark to discuss testing strategies, understand client expectations that would help deliver better quality product releases.